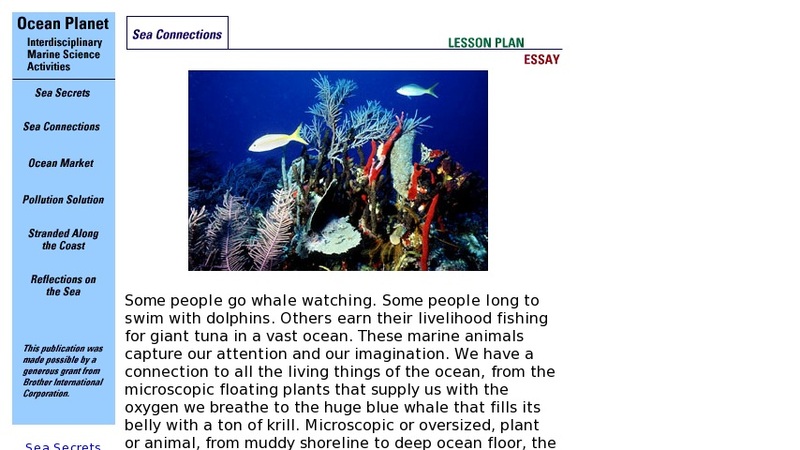 Part of a set of multidisciplinary lesson plans from the Smithsonian, this lesson plan examines the marine environment and how human activities can upset the delicate balance. Includes downloadable student activities, and tips on engaging students. Background material and most of the materials are provided. The "Resources" link provides an abundance of additional information, in the form of links and books, for each lesson.